A funny thing happened on the way to Utopia today. There I was, just galloping along, humming my happy tune and dreaming of unicorns and rainbows with my fellow travelers. Suddenly, there descended an abrupt assault on paradisaical bliss, halting and horrifying. It’s fins screaming that distinct aero-whine that flash-freezes the spine in the realization that there’s not even enough time to yell a futile “Incoming!” before impact. The logic bomb was upon us. Munitions experts have identified the weapon as a Mark II Newton gravity-guided casing with a BEA high explosive warhead. The impact was devastating, leaving a massive crater on the Utopian landscape. Damage estimates are ongoing but reports indicate large swaths of the Utopian community, sheltered and intellectually impenetrable, are exhibiting signs of shell shock – PTSD – in the form of denial. Government spending at every level is “that giant sucking sound you hear” whenever you get close. And our Debt to GDP ratio is now 1 to 1 (101%), meaning our federal government’s annual debt is now equal to our annual national GDP – everything we produce. We’re working overtime catching up to veteran Utopian states like Greece, Spain, Italy, Portugal and other keepers of the faith now desperately seeking international handouts to keep their entitled masses from burning down the palaces. Simply stated, we do not have a government funding crisis or a taxation crisis. We have a government spending crisis, and it permeates every single level of government. Federal government officials start redistributing to politicians at the state levels, who in turn cater to local government politicians and officials. People do this, not some innocuous, faceless ‘government.’ There is a face and a hand behind (and in front of) every dollar exchanged. And the money is like crack – it creates a dependency chain in the reverse of the money’s flow. This deep dependency is how a guy like me can live in an average 3 bedroom house built in 1950’s in an average town in New Jersey and pay $11,000 per year in property taxes. And that is out of what’s left after federal, state, sales, excised, utility and other seen and unseen taxes. And last I checked, our streets are not paved in gold and my children are not attending Harvard Middle School. The size and scope of government at every level must be scaled back and liberty restored (and necessarily celebrated) in order for us to survive a violent societal and governmental implosion that would dwarf Greece. The presidential debates are about the federal level and the relationship between American citizens and the federal government. This same debate is required and in most places ongoing at the state and local levels. 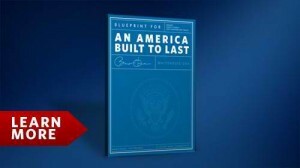 We’ve seen the “blueprint,” President Obama. It’s written in Greek, Spanish and Portuguese. We’ll pass, thank you. Utopia turned out to be not an island, but rather a Potemkin village.